Over 64 pc of he overall project has been completed so far, and all expenditure after June 11, 2018 has been borne by state. 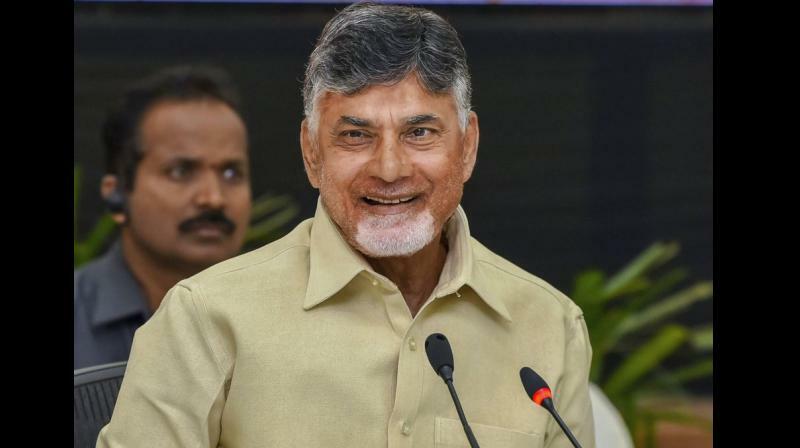 New Delhi: Faced with fund crunch, Andhra Pradesh Chief Minister N Chandrababu Naidu on Monday shot off a letter to Union Water Resources Minister Nitin Gadkari, demanding early reimbursement of Rs 3,722 crore for the ongoing Polavaram project on Godavari river. The state is making available funds for the project from its "meager resources" to ensure the ongoing work does not stop, but this is affecting other flagship state programmes severely, he said. "The last reimbursement received from Government of India was on June 11, 2018. Since then, there is no reimbursement of expenditure already incurred by the state government so far," Naidu said in the letter. Over 64 per cent of the overall project has been completed so far. The state government has been making timely payment for the project "severely restraining" its capacity to fund other development and welfare programmes with its limited revenues and resources, he said. "Unless the amounts which are due to us are reimbursed immediately by the Government of India, the country is likely to lose a golden opportunity to complete a national project which is benefiting more than five states directly". Naidu, also Telugu Desam Party (TDP) chief, demanded that the centre should take immediate action to release the reimbursement of Rs 3,722 crore and also approve the revised cost estimate of the project submitted to the Centre Water Commission (CWC) in August 2017. He also informed that the state government has bagged the Central Board of Irrigation and Power (CBIP) award for speedy execution of the Polavaram project, which is a lifeline of Andhra Pradesh.